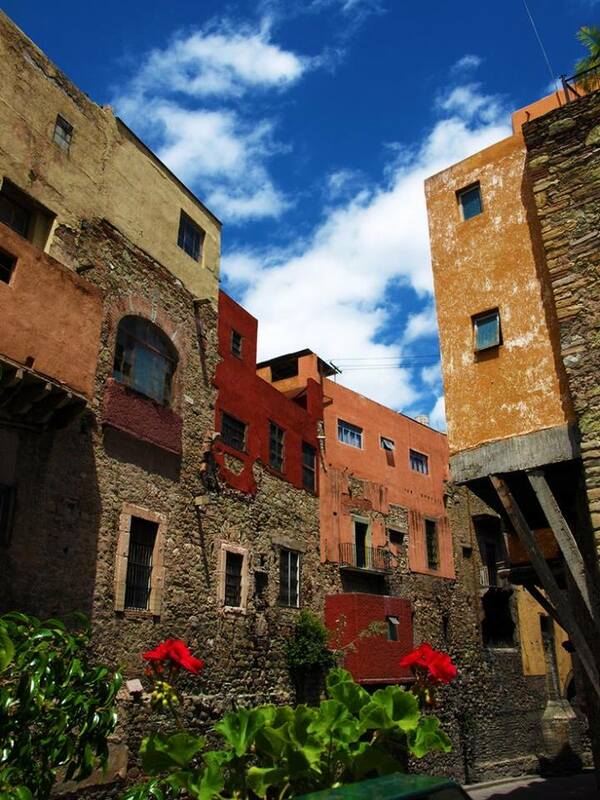 Tags: Adventure Mexico, Guanajuato, Mexico Walking Tours, walking tours, William J. Conaway. 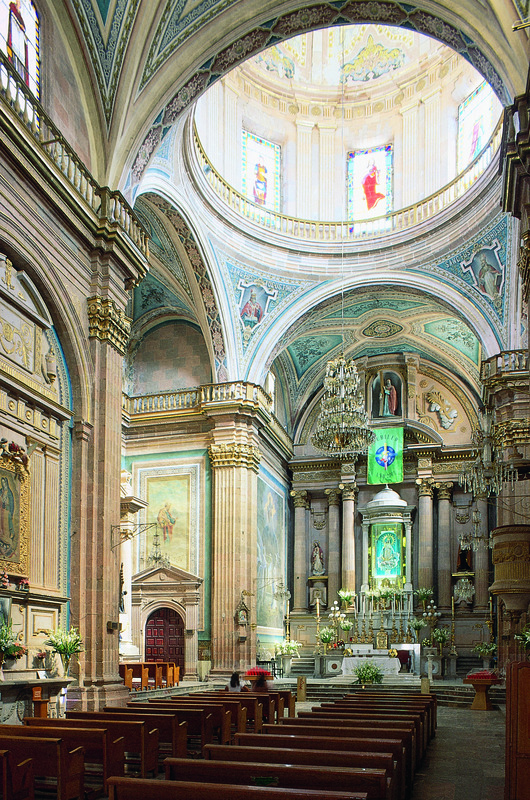 An excerpt from my “Walking Tours of Guanajuato: City of Cervantes”. 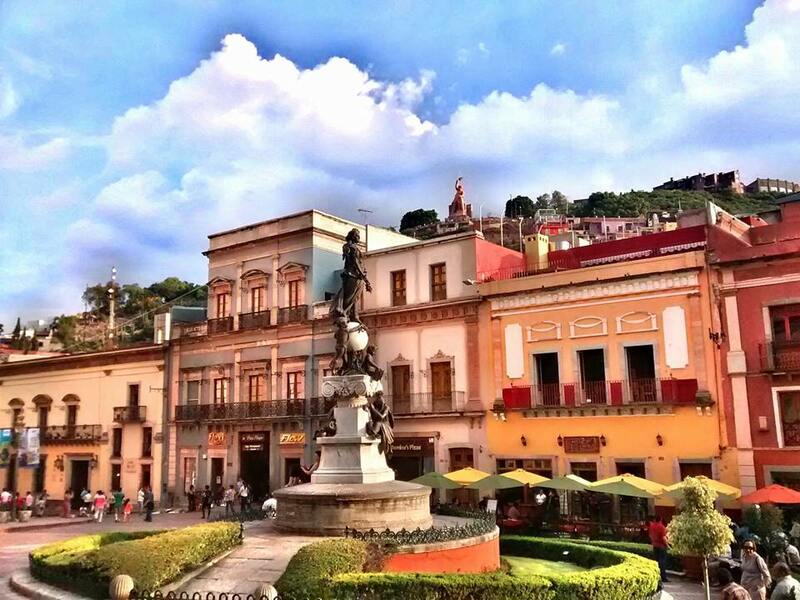 Guanajuato is one of the Mexican cities which have best preserved their own peculiar spirit, and in consequence, their authentic stateliness. This guide is designed so that you can see all of the important places downtown between the hours of 11 A.M. and 2 P.M., because most of the museums and churches close then. If you can wait for lunch until then, you’ll be better off. Take a Snickers! If you’re physically unable to walk long distances and you need a shorter tour try to do #’s 1-10, M1, and M3 at least. You can buy postcards of #’s 11-15 and either take a bus or a taxi to all the rest. The legends are printed in italics. They are authentic, and have been handed down generation after generation. I suggest you find a place to sit and read them while you’re actually at the place named in them. But if you wish you can read them before you start out or afterwards. It’s up to you. You really should spend a few days here in this magical place to get the feel of it. 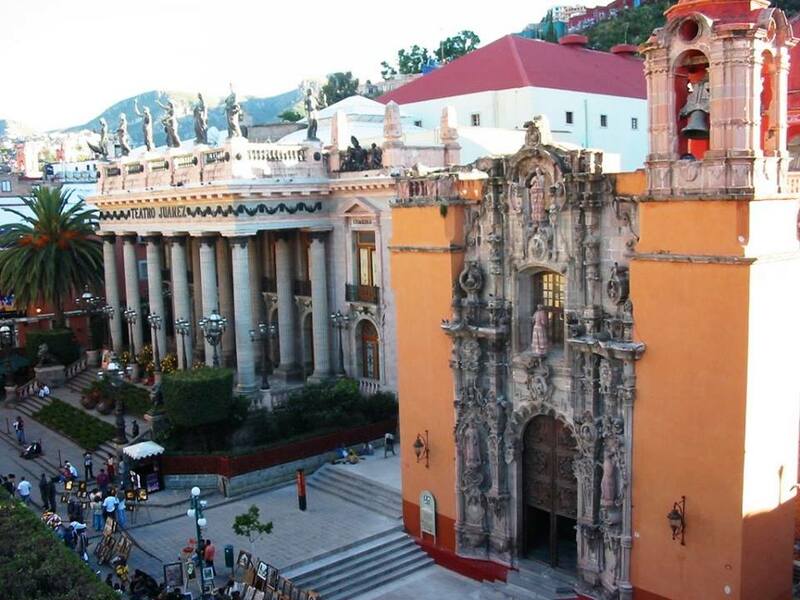 Right downtown at the start of our Walking Tour is the Hotel Santa Fe (4 star) directly on the Plaza de la Unión, or across the street the Hotel San Diego (3 star) next to the church of the same name. 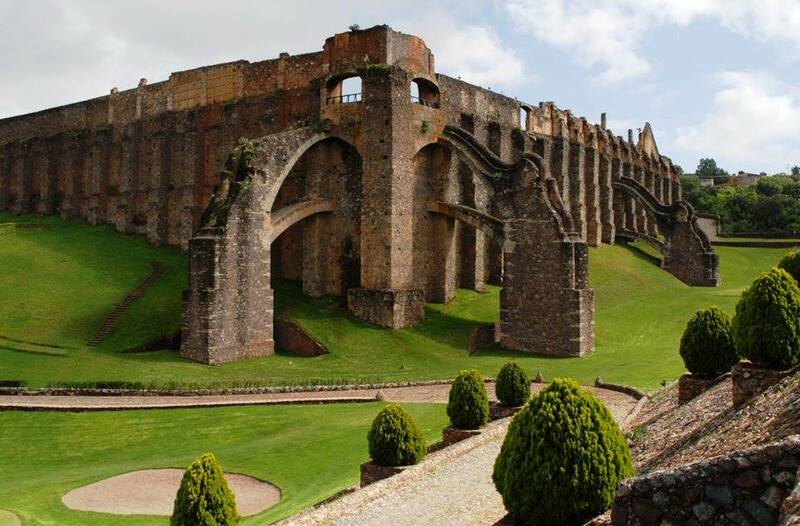 These are great places to spend the weekend and be serenaded by the University band. 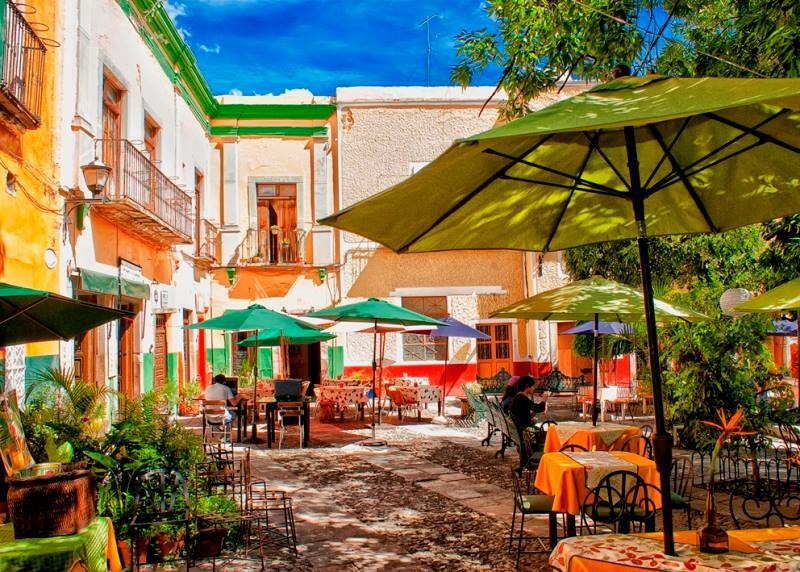 If you’d rather stay out of town there’s always the Hotel Misión de San Gabriel de Barrera (5 star) right beside the museum of the same name. You can taxi into town from there. 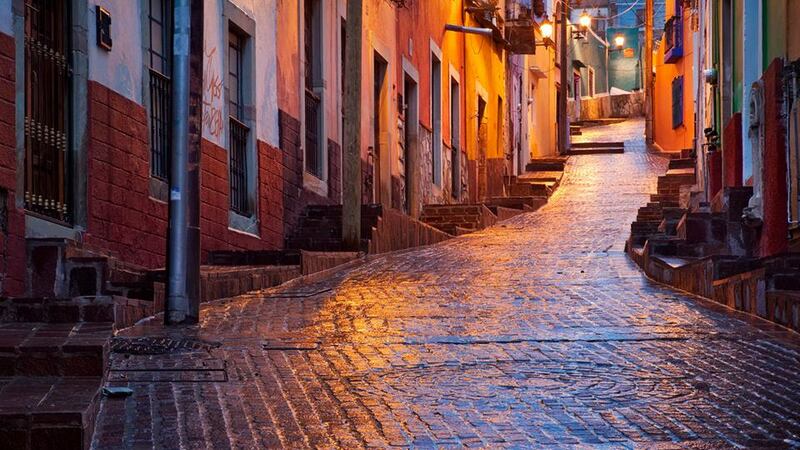 Don’t go to Guanajuato by car. Go by bus. México has the best bus service in North America. They have comfortable seats, movies, bathrooms, and they maintain a speed limit of 55 miles-an-hour. Having a car in Guanajuato is of no real benefit. If you must drive, park as soon as you enter the city. There’s a public parking lot on the left hand side of the divided street just after the statue of the miners, Estacionamiento Público. From the bus station or the public parking lot you can get a cab into the city to our starting point, Jardín de la Unión. If you’re on a budget: from the bus station take one of the city buses that says Jardín Unión on the windshield. 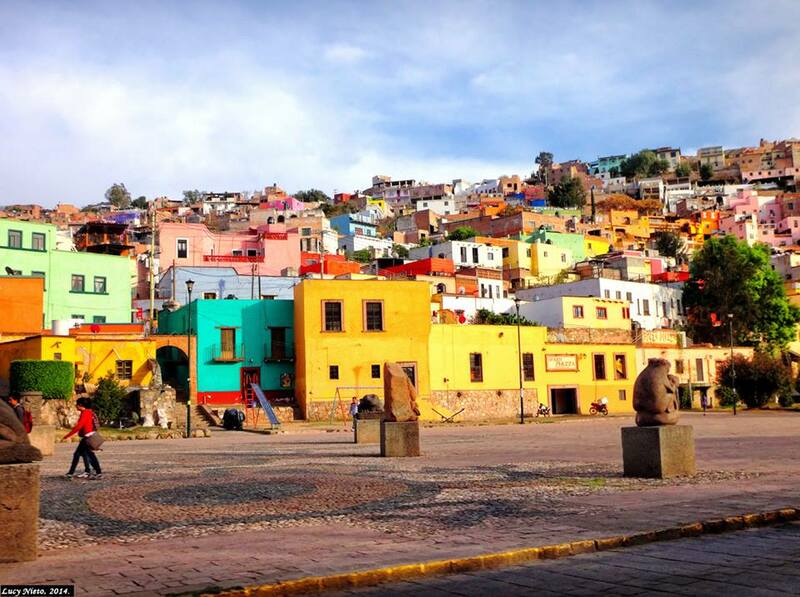 If you’ve driven to Guanajuato, from the parking lot, cross the street, and walk down to the covered bus kiosk. Take any bus that says Jardín Unión on the windshield. The city, approached by road, is completely concealed in a long deep valley until the last turn in the road when suddenly you’re on one of the busiest thoroughfares (there are only three) of Guanajuato. The mountains to the north are Los Cerros del Cuarto. Due south, across town from them (statue of Pipila) is the San Miguel mountain. On the east are Los Timultos, and northeast the Mellado, Valenciana, and Cata. 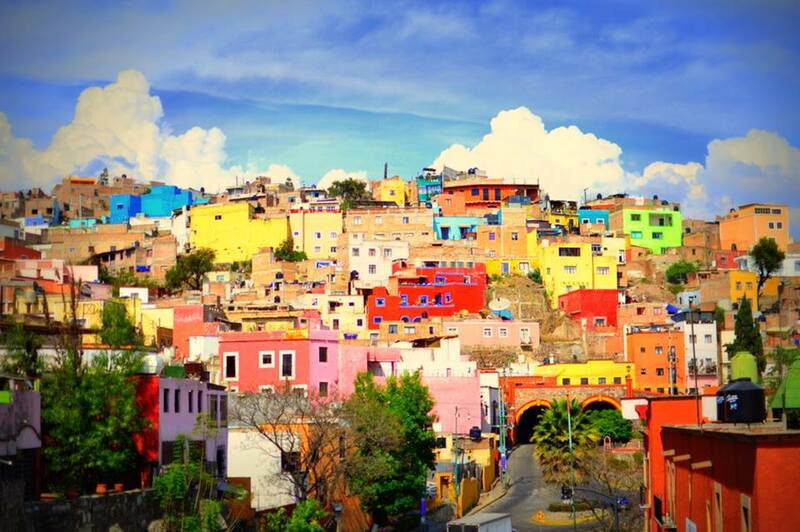 The Guanajuato River, with its tributary, the Cata, flows underground mostly, and completely follows the length of the city. 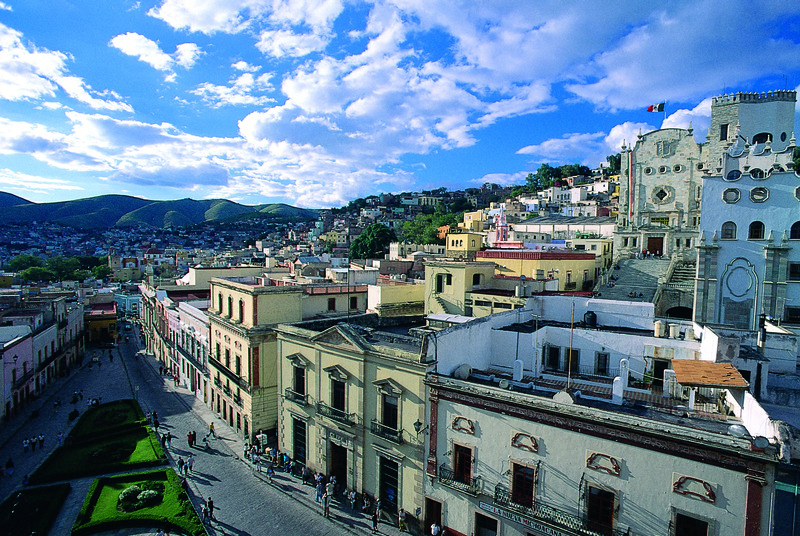 Tags: Adventure Mexico, Cervantes Guanajuato, Guanajuato, Mexico Walking Tours, Walking Tour, William J. Conaway.